Some of the topics we're going to be looking at include the Monat VIP login, Monat before and after, Monat hair growth, some Monat ingredients, what their product lines look like, complaints about Monat, the existing Monat lawsuits that may exist out there and whether or not it's something you should pay attention to before deciding to enroll. Also we'll look over Monat customer service and how that can either help you or hinder you if you're deciding to build a Monat business. First off, let's go over to the website: monatglobal.com. You'll notice that you can login if you're already a Monat distributor or you can join immediately. 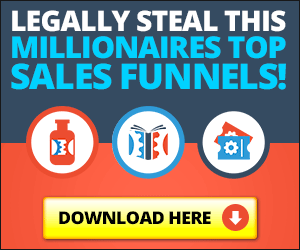 Typically, if you join now on any kind of network marketing website, it's going to direct you to leave your information and they're going to hand your information to a leader that's regional to you. So if you live in Washington State for example, your information will probably be passed to a Washington State leader in Monat, who will then call you and explain to you the business, and show you any kind of team videos that they have that help explain the opportunities so that you can decide whether or not it's right for you and you want to join. So let's get into some of the products, shall we? Let's look at Monat's products. The first Monat product is called Rejuveniqe, which is an oil intensive. It's commonly referred to on their site as “The Crown Jewel of True Opulence”, which is a mission statement or brand slogan for that product. To learn more about the oil intensive, you'll have to contact a marketing partner, which is referring to the distributor who referred you to the website. The benefits include nourishing and energizing your scalp with an invigorating blend of 13+ Natural Plant and Essential Oils, rich in omega fatty acids, antioxidants and nutrients highly compatible with the skin and hair. You'll notice most of the Monat products deal with keeping your hair in healthy shape. Their flagship products include shampoos and conditioners, and that's how they've really made a name for themselves. Monat also has hairspray and shampoo, both of which we have purchased. And although there's some legal cases out there about their shampoo causing your hair to fall out and things like that, my wife and I have never experienced those things. So I will tell you just firsthand, we have never experienced our hair falling out because of Monat products. But it doesn't stop people from opening up lawsuits and it doesn't mean that those people or those individuals don't have a viable case where their hair is falling out because of something in their products, but personally, from our own personal testimony, we have never had our hair fall out from using Monat products. Their conditioning dry shampoo is called The Champ, and when you come over to The Champ product page, you can see it lists for a retail price of $35. I believe this is euros because it's in U.K. currency. The VIP customer price, which is a distributor price. Now, the difference here is $6. That's $6 is automatically kicked back to the distributor. So whoever the distributor is that moves the product, is going to get the $6 retail markup plus whatever commission they earn based on how big their organization is, which determines how much volume is moved through that organization. The more volume moved through your organization, the higher your percentage back is going to be on the product's wholesale price. So for example, this is about $30, The Champ conditioning dry shampoo. If you're a leader in the company, a lot of times you'll see a kickback of around 30 to 40 percent. And so that 30 to 40 percent will be something like, in this case, $12 to $15. So for the sale of this product, a leader might see a commission check of $15. But let's focus on The Champ, their conditioning dry shampoo here made by Monat. To finish, hold 8 to 12 inches from the hair, and to create volume, spray in quick bursts while blow drying. A must have in everyone's haircare product arsenal. The Champ eradicates greasiness from the roots for beautiful 2nd (or 3rd) day hair. Formulated with agrana rice starch. The Champ does not leave behind that pesky white residue experienced with other dry shampoos. Renew Shampoo or Revive Shampoo are the big shampoo flagship products as I like to call them. So Revive Shampoo, retail price, 30 euros, and VIP customer price is 25. So again, same sort of price. It says Revive Shampoo: gently cleanses while volumizing to add body to fine and limp hair. The benefits: A gentle volumizing cleanser that delivers body to fine and limp hair. So it helps your hair quite a bit, makes it feel soft and lush and fresh. Apply a generous amount to wet hair, gently massage into a rich lather from scalp to ends, leave in hair for two-three minutes, rinse thoroughly and repeat if needed. So we use this quite frequently. This and lemon tree, or other shampoos and conditioners, but it's a very good shampoo. We've found that it helps our hair quite a bit. We highly recommend it. The price is a little high for a shampoo. I'll be the first to say that, but lemon tree is as well. So I guess if you're comparing it to lemon tree, it's pretty competitive. Now, normally when you say join now and you request to be a marketing partner, you pick your country of origin and it's going to request at some point your information. And usually, once you get information entered, they'll hand you off to a distributor or a leader in your country. Let's see if they do that here. If they don't, it's a big mistake. They should be doing it. But let's take a look. So I'm going to select the Overachiever Product Pack, which appears to be their highest pack, $650. That's a pretty competitive price for a starting pack for a distributor. I've seen them as high as $2,500 for network marketing companies that move products. 2,500 is usually a high end for product selection kits to become a distributor. and then they even want to create my own personalized website here. And they're probably, when I hit continue, going to hand me off to a distributor. If they don't, well they're going to ask for my address, billing and shipping. So on step three, they will ask for my credit card. But they're either going to place me in a leader's genealogy right away, which personally as somebody who's been in this industry for a while and worked with companies on the back end if that's what they do, it's a big mistake. and if they want to take your billing information, that's fine, but then hand you off to a leader in the field relative to your location that can follow up with you and then help train and mentor you and be there for you. If they just process your order and send you product, and then shove you into somebody down line, that's a big mistake. So Monat leaders, if you're watching this video, you might want to consider correcting that. But if that's not what they do, then good on them. And then there's going to be a review and confirm process. So that's how you become a Monat marketing partner. I guess you can do that right here if that's something you decide you want to do. They have live events that you can check out. Looks like they're pretty big in the U.K., looks like they do trips to the Bahamas, which is very normal for compensation plan in network marketing company to offer trip incentives if you hit certain volume requirements each year. Typically, they do one a year. And then if you hit those volume requirements, they pay for your trip. But usually, they work it into the comp plan in such a way that the amount of volume that you move in your organization pays for the cost of your trip. So you're really paying for your trip, which isn't a bad deal. That's how businesses should run. They should run on a compensation model that incentivizes you to get paid for performance. And in this case, they're incentivizing you with a trip to the Bahamas as part of your performance, which is pretty cool. No other job out there is going to give you that. So it's a good deal. Let's look at live events as part of this Monat review. So it looks like the Chairman and Co-founder is a gentleman by the name of Louis Urdaneta. And it says he is a first generation direct sales entrepreneur, so he's probably a derivative of either Amway or another company that was founded about when Amway founded, which might be something like Shaklee, which is older than Amway, or maybe Mary Kay, or one of those companies. He's probably been around for a long time before he decided to start this company. So he is the founder. It looks like he's still in charge. Chairman, Co-founder, CEO, which is a pretty cool thing. Rayner Urdaneta, that must be his son. Oh, so Rayner is the CEO. So Louis started the company and named his son CEO. Rayner's a second generation direct sales entrepreneur. The beauty of this industry is you can hand this stuff down to generations, usually multiple generations. A lot of companies limit you to three, so you can hand down your genealogy three generations, but then it stops. But when you found a company like Mr. Louis Urdaneta did, obviously he's going to be able to hand this company down forever. So Rayner's running things as the CEO. And it looks like his president, the person that reports to him, is a gentleman by the name of Stuart MacMillan. So these are the owners and some of the executive management Monat leadership team. The company's doing really well. I don't know the exact numbers, we could go look it up. So it looks like they did 300 million dollars in revenue in 2017, which is monstrous. So they're doing really good. And my guess is for 2018, they're probably on track to do 400+ million because the growth when they enter new markets and new countries is typically 20, 30 percent or higher. So if they're entering new markets and finding leaders in new markets, they could see even better growth in this. But there are some things that you may want to consider before you pull the trigger on joining Monat, especially in the US because they have some lawsuits pending. So you might want to take a look at it at first. But as far as the product goes, personally, I haven't had a problem with it. Now, let's go take a look at a couple of other things in our in-depth Monat review. So the Monat VIP login, you can probably find on their website. It looks like there's a join now link and there's a login link. So if you click log in, it goes to mymonet.com/login, and if you're a Monat customer, my wife is not, she buys from a distributor, so she doesn't have a password listed here. But you would enter your username and password and you'll go right into your login, your dashboard. So that's how you log in. Now, if we go down and we take a look, we can look at some of the Monat reviews that are out there. This girl has said that, “I don't sell it.” She likely is a hater. Here's some other honest reviews, “Six months after stopping use,” probably a hater. Amazon, that's probably a good place to start. I would skip the YouTube reviews because they're probably just haters, and then they're probably also selling their own products. And I'm not Monat rep, I'm just telling you honestly as an unbiased person, what's going on in these videos. They're probably bashing it and selling their own hair product. But if you go over to Amazon, you're probably going to find some honest reviews. So you've got 41%, five star and 43%, one star. There some red flags there, so you might want to really look into this stuff. I just checked BBB Monat complaints, they were not good, people complaining they can't get their money back and are losing hair. “It makes my hair greasy. Don't waste your money,” right? Now, keep in mind with five stars, normally one star complaints are done by people who are honest customers. They got to gripe, they're pissed. Five stars, it's hard to figure out what's honest and what's not, because a lot of times, I'm not saying Monat does this, but a lot of times companies will pay people to go leave five star reviews to try to bump up their star rating on Amazon because it helps them sell more. The companies that are really on top of things, they'll actually pay money to Amazon to prevent Amazon from publishing their products, because a lot of reps will go to Amazon and list their products, which you're not technically allowed to do. Typically, it's against the policies and procedures in a company to do that. That sounds a little bit like maybe a rep or someone posted that. Because when you list a medical condition and then you say, “My hair looks like Fabio's, and even when I had this illness or whatever,” a lot of times that's coming from a rep or someone that's biased. The next one. “So little shampoo is needed, even for long … It makes my hair shiny and soft. Love it.” “Love this product.” “Helps to hydrate.” So some of the short ones, they're probably not good reviews. They're probably from reps or the company hired people to put them. But some of these other ones that are longer, they're probably pretty accurate. Amazon's a good place to start for an unbiased Monat review. Let's take a look at that. So before and after pictures on Google, if you type in “Monat before and after,” you're going to see a lot of before and after pictures. So not a bad thing to go take a look at before you decide whether or not you want to buy the product or become a rep. I would definitely google this, and when you type in the word “Monat” and then you hit enter, that is, by the way, how I got all these results at the bottom. So if you go to Monat hair growth, you're going to find another big ad by Amazon, which will take you to some products you can buy, so not necessarily what you want to visit. But it looks like there's a couple articles here on repair treatment and things like that. So let's go ahead and look at Monat ingredients. So if you go ahead and click on Monat ingredients, it's going to give you some stuff from their actual website about their Renew Shampoo. Renew Shampoo includes water, and then all of these other chemicals that they list, which has a lot of sodium in it apparently, and then some fragrance as well. So if you want to know more about Monat Global and their shampoo or any of their other products, I would just go ahead and google the phrase Monat ingredients and start taking a look at all of their products and what you can find here online if you're really sensitive to that sort of thing. What lawsuits exist out there towards Monat? Now, I know personally from some of the referrals we've made in the industry and other people we run into, that this is a big point of concern in the U.S. market specifically with respect to Monat. They have some lawsuits that are pending. So if we look at either PR Newswire, which is a good site to look at in terms of lawsuits, and then some of these other ones here like Women's Health Mag, we're going to find the Monat lawsuit information. “People say this hair-care product causes balding and scalp sores.” So this is where a lot of the lawsuits are pending from. They're suing over the fact that they're losing their hair from using their product. Here's the thing that really gets me. It's hurting the company really badly when these lawsuits come out, obviously, because people are reluctant to try when they see this stuff going on. But here is the fundamental problem with these lawsuits, regardless of who is initiating them. The fact of the matter is, if you begin to lose hair because you're using a product, you have the choice, you have the decision to stop using the product. Normally, with a product that causes you damage to your body, especially with your hair, your hair will grow back, meaning you stop using it, your hair will come back. Unless it's like hydrochloric acid or something crazy, it's likely your scalp will recover from it if it really is hurting your body. So you always have the decision to stop using a product that's damaging you, a product that's causing you to itch, causing you to whatever. Just stop using it. So that's the fundamental problem that I have with this. I don't know how the judges are going to rule on this stuff, but I think in the end of the day, when it comes down to it, if you use the product and you find out that it's hurting you or making you itchy, just stop using it. I mean, that's the bottom line. Just stop using it. We can look at this right here. “The U.S. Food and Drug Administration, the FDA, has received and is in process of assessing 187 reports related to their products.” And that's pretty damning and that's pretty bad. And there's 503 complaints filed with the Better Business Bureau. Some of these people have said their hair lost its thickness, looks dry and damaged, it breaks off, blah, blah, blah. Well, stop using the product. Stop using the product if it's really doing that to you. The sad part about this is, it's going to really hurt the company, especially with all the people that are actually using the product and having good results with it, it's going to hurt them pretty bad. So just from a distributorship standpoint, I could not personally, even if I were interested in getting back into the field, go to this company because of all this stuff. They've got to clear this up, fix this. They'd almost be better off just settling with these people or making an alteration to their product if there's some ingredient in that's causing this, rather than fighting this because this is brutal. It hurts your ability, hurts the field's ability to bring on new reps, makes it really rough on growth. And so the U.S. market, it could die to them, and they're going to be looking to international markets to keep afloat. So we'll see where this goes. But the company said it's sued people for defamation after they spoke out. So they're really digging their heels in. It looks like Monat's digging their heels in and fighting back. Vickie Harrington was sued by the company in January because she used Facebook to “relentlessly disparage” Monat's products and “falsely represent” them. Mags, another person who's a beauty salon owner was also sued by the company for false advertising and defamation. See, but here's the problem with these types of actions. Monat's stance, apparently, it looks like from these articles is that they're just going to dig their heels in and sue me back and I can't afford a lawyer. If I'm a person working in a job and I'm wondering, can I even represent myself, get a lawyer, or am I going to be fighting this uphill legal battle against these people because they're going to dig their heels in and just battle me to the world's end. If I were an owner in Monat's company, I would recommend, as a consultant, my advice to them would be, don't go back and sue the field. Don't go back and sue customers. All it does is dig you a deeper hole. Because when you dig a deeper hole for yourself by suing people, even if their claims … Let's say their claims are totally outlandish and fake fraudulent and everything else, when you go and sue somebody that is just a citizen claiming that they have hair falling out issues, all it does is make you look like the bad guy. Even if you're not, it makes you look like the bad guy. In the corporate world, I used to do something called root cause analysis and apparent cause analysis. We'd go into companies that were struggling, that had issues, and we would do what was called a causal analysis. We would dig down and find out what the root of a performance problem was. So if people were getting hurt on the job because they weren't following safety protocols, we would find out exactly why they were getting hurt. And there's a number of reasons for that. It could be because supervision didn't understand the procedures. Maybe the procedures weren't well written enough. Or perhaps the training program to train people to do their jobs wasn't robust enough. There's a number of issues that can be compromising people's ability to do work safely. It was our job to figure out what that was because only until you understand the root of a problem, can you address corrective actions or create corrective actions to fix it. So if the root of your problem really is your hair product, if it really is that your hair product causes 10% of people's hair to fall out, for goodness sakes, fix it. Because none of this will ever go away. You'll constantly be in this vicious cycle, repetitive cycle of trying to pay people off or sue them to get the problem to just disappear, and it never will because it'll keep resurfacing whatever percentage of time it is, based on whatever kind of numbers you're seeing right now, or how many people are coming after you because their hair's falling out. Just fix the problem. Fix the root cause of the problem, no matter how much it costs, because your company's done anyway in this country if you can't fix that. Fix the root of the problem and then make the problem go away. By the way, if you're a Monat executive and you're here, and you're like, “Oh, my gosh, I can't believe this guy is saying this stuff,” and blah, blah, blah, reach out to me, communicate with me. I'm more than happy to help you guys because I love the profession. I can even recommend you a good attorney. It's hard to believe that 500 people are lying, but I don't know. I don't know the situation. I don't know all the dynamics of this. I really like looking into customer service for companies. The reason for that is because if your company has good customer service, it's going to make it very easy for the field to bring on new reps. I'll give you an example. And then the customer service people would sign him up. So it was a beautiful arrangement. Beautiful arrangement. Customer service is very, very important. And if your company's customer service is rocking, then it's going to make your life very, very simple. So let's go ahead and take a look at … I'm going to type it in one more thing here. Looks like they've got a four star rating. It looks like their customer service department does okay. Their Better Business Bureau profile shows that they have no customer reviews, so that doesn't help us out at all. But if we go to Amazon, we're probably going to see the same thing, all their five star and one star ratings. So again, take a look at that on your own. And then you have a Ripoff report, which is completely biased. I wouldn't read them. I wouldn't give them the time of day because those folks over there. Unless you're into seeking out the negative, then go ahead by all means, read the Ripoff Report, but they're not a very good site if you want something that's not biased. Take a look at Trustpilot, take a look at Amazon. Those are going to be your best for Monat reviews. See this person, Rhonda Hudgins, looks like she had a good experience, and then these people like Mark and Dawn had terrible experiences. Jennifer had great experience. So it's very polarizing. So just do your homework. I would recommend, if you have any concern about your hair falling out, just expel it, give it a try. If your hair doesn't fall out, you're going to go. If your hair starts to come out, stop using the product. That's the end of my little pitch there for you. Please reach out to us before you decide to send us something like a cease and desist letter, hopefully, that's not going to happen, reach out to me. Give me a ring, give me a live chat message and I'll answer because it comes straight to my phone, and let's have a conversation. Hope you enjoyed this Monat review. If you're looking to become a distributor, those are the things that I would pay attention to the most before you pull the trigger, make a decision and pull the trigger. Again, these lawsuits are more than likely just a U.S. issue. I don't see them being an issue overseas, unless you know something I don't. And if that's the case, comment in the section below and I'll update this article. Thanks for dropping by if you're reading this for the first time, if you found us on Google or if you found us somewhere else.